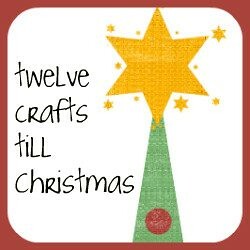 Sherbet Blossom and Twelve Crafts Till Christmas. Hannah, at Sherbet Blossom, was one of my first followers and has been a sweet blogging support. It's also her birthday coming up. She is an amazing graphic artist, with a great eye for beauty. Elizabeth from Twelve Crafts is another blogging friend and support. She edited the PDF pattern, and we were both excited that the Symbols of Christmas dovetailed perfectly with her Christmas Traditions Series. Please take a second to visit these wonderful ladies. I know I am so appreciative of them both. Just love a comment over on Hannah's blog:) She is the sweetest! Thanks for the chance to win! I meant to say """I left a comment..." OY VEY! I am heading over there now!! Yeah for getting it out there! I printed my pattern today and am working on them for the giveaway on my blog. So fun!! Gorgeous! What an inspirational idea and a truly inspiring way to remember the real meaning of Christmas as well as to remind everyone of the symbols and why they are used.